Hair is one of those wonderful things that nature gave us, and which comes in many different shapes and sizes. For this reason, sometimes it’s hard to know what brush is the right one for your needs. Moreover, the task of detangling can be painful and particularly unappealing for children, so if you want to know what solutions you can find on the market for all of the situations described above, take a look at our selection of top-rated brushes. We all know that static in the hair can be quite a problem, especially on those days when you can’t seem to be able to do anything to get your look in order. Well, this brush might be the solution, as it features a Static Free technology that eliminates the flyaway hair. Its design offers maximum control and comfort, given the non-slip grips it includes. You can safely use it to blow-dry and style your hair according to your preferences. Moreover, the stay-up ball tips add to the overall comfort, so you don’t need to worry about protecting your skin as well. 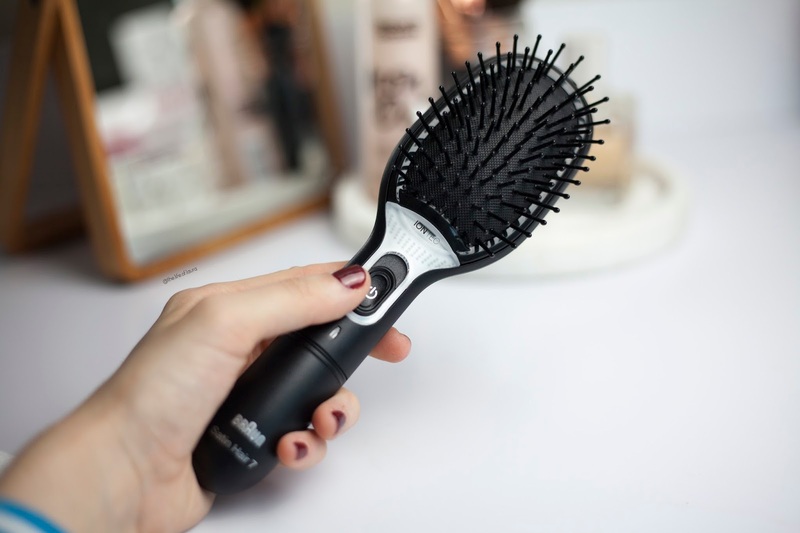 Besides its color that, let’s just admit it, looks very cool, this brush features the soft IntelliFlex bristles technology that detangles hair with ease. The ergonomically designed handle provides a comfortable grip and ensures great results. The nice part about it is that it can be used by men, women, and children alike, for all hair types, as well as for hair extensions and wigs, and on both wet or dry hair. We all know that sometimes thick or curly hair can get stubborn, but with this item and a few hair clips, you’ll get it to look great in no time. If you are in the market for a model that comes with 7 rows of bristles to detangle your hair, you are in the right place. Denman’s Cushion brush is 35mm wide and features nylon pins in an anti-static, natural rubber pad that helps protect your hair as you brush it. This model works great for smoothing, shaping and polishing medium to long hair. Furthermore, the close-set nylon pins provide grip and control over the brush, making it especially effective for styling thicker hair. The result is that you can detangle knots without damaging individual hairs in the process. 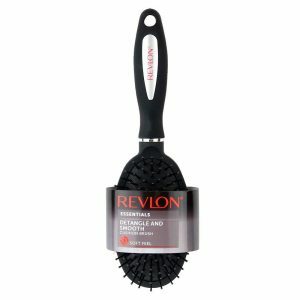 Known for a long time as a reliable brand that offers multiple solutions for hair, among many others, Revlon proposes here a brush that works for detangling and smoothing out most types of hair. The rubberized finish makes it easy to handle either by yourself or by anyone styling your look. This model works on both wet and dry hair, as the soft brush bristles protect it against any potential damage during brushing. Sturdily made of high-quality materials, you can rest assured that you will enjoy using it, as this model can handle even thicker hair that involves tangling problems. The Professional Hair Brush Set from Conair comes in various colors, but this is not what makes it stand out. This model is designed for blow-dry styling, while the ball tipped bristles are carefully made not to snag or pull the hair in the process. The compact design is ideal for travel or simply to have it with you during the day. We all know what a windy weather can do, especially if your hair is thick and curly, so having this brush on the go can surely come in handy. Add some cool hair ties to the mix, and you’ll be ready right away. If protecting the environment is high on top of your priorities, right next to taking proper care of your hair, then EcoTools’ Paddle Brush could definitely be the right choice. This model features a unique bristle design and cushioned paddle that smooths through the tangles in a breeze, for easier mornings when it comes to hair styling. It can be used for both wet and dry hair, and the aerodynamic EcoVent design enables the hair to get blow-dried 20% faster. The product is made of recycled aluminum and plastic, and the handle is made of bamboo, which is one of the fastest growing plants. You can easily brush your wet hair with the Epic Professional Quick Dry Brush from Wet Brush. The brand is on a mission to find the right solution for detangling hair without the usual struggle, especially when it comes to thick and curly situations. The IntelliFlex bristles that this model features are specially designed to effortlessly run through hair and knots, without pulling or tugging. So if you know that getting your hair (or even more importantly, that of your daughter) to look the way you want to is a permanent struggle, then you should give this brush a try. Brushing your hair is essential if you want thick, luscious, and glowing hair that will be appreciated by others. But finding the right hair brush could prove a difficult task, especially with so many viable options available on the market. Depending on your budget and willingness to invest in good-quality hair products, you can pay as little as a few dollars for a decent brush or choose more extravagant styles and brands that can easily cost you a fortune. Keep in mind that finding the right brush often depends on your needs and your hair needs. And, since there are many different types of hair, don’t expect for a miraculous brush to help you keep your hair healthy and glowing without effort. We know, looking for the right items is a burden, especially if you don’t have the necessary time or knowledge to pick an item that is specifically designed for the needs of your hair type. Luckily, we’re here to help you so we hope that our following comprehensive buying guide will offer you all the necessary information and insights you would require to make the right purchase choice. If trying out a new hair dye is not really your thing, there are still plenty of ways to make the most out of your hair and keep it shiny, beautiful, and strong. However, finding the best hair brush for sale seems like a struggle for both men and women, especially since there are countless options available on the market right now. We suggest starting with some hair brush reviews to see what other customers have to say about a certain product or simply search the online for valuable advice on how to maintain your hair silky and smooth. If everything else fails, we hope that our following guide will help you make the right decision in choosing a good hair brush for your hair. We won’t talk about certain hair styling brands as they won’t work wonders unless used on a regular basis and combined with a balanced diet and plenty of daily intakes of water and vitamins. However, the first thing you need to take into account when opting for a good hair brush is the brand of the product. It is important that you choose products manufactured by specialized brands with a reputation in the hairstyling field. You should avoid purchasing your hair brush at local stores as these products are often poorly made and won’t look after your hair too much. On the contrary, no matter your budget limitations and personal preferences, you should opt for specialized brands with plenty of history in developing and manufacturing professional hair care products. Often enough these products are pricier but they also provide technologies and special designs that are right for your hair and can prevent loss or additional hair problems in time. If the main concern about your hair is keeping it straight and detangled, you should definitely opt for products that will do just so. Most of these brushes come with soft and synthetic bristles of different lengths to reach even the smallest hair strings and provide maximum detangling before and after washing your hair. The soft bristles will also provide a relaxing massage to your hair and scalp which can stimulate hair growth and prevent hair loss in the long term. The size of these brushes is also important, so make sure to pick one that perfectly matches the palm of your hand. Also, we suggest opting for the original detangler brush as this product comes in plenty of funky designs and colors and will help you maintain your hair strong and shiny. If you have long and thick hair you can consider yourself lucky as this is often the healthiest type of hair, too. However, expect to require larger numbers of hair products and a stronger brush to keep your hair detangled and frizz-free. 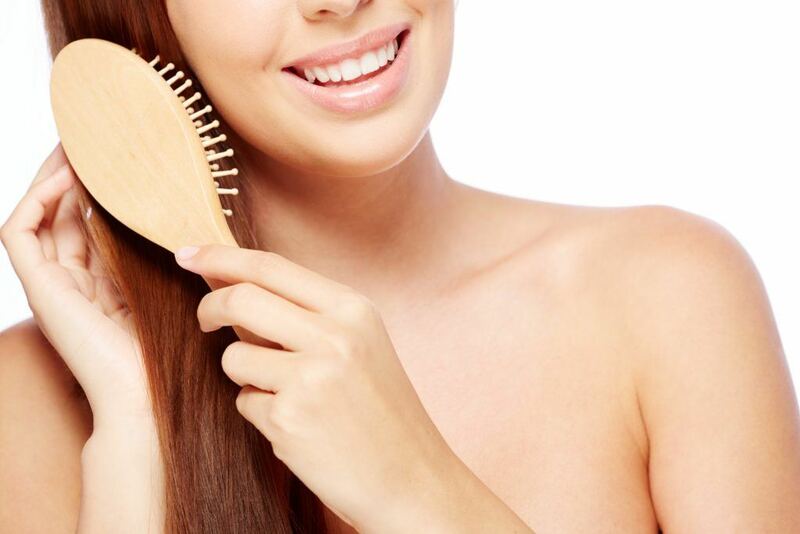 The best type of hair brush for thick hair is the paddle brush as it is wide and flat with bristles made of plastic. This is perfect at the beginning when you want to brush-dry your hair before starting to style it and using a round styling brush. If your hair is quite dry and lacks volume even after you have just washed it, there isn’t much you can do unless you appeal to professional hair care products. Most women with flat and straight hair can’t seem to get enough volume for their hair, so choosing the right type of brush is a must. The small barrel brush is the perfect choice when you want to add more volume to your hair without using too many styling products. With this type of brush, you can easily create volume close to the roots. Make sure to pick a brush with natural bristles and a diameter of approximately 40 mm. Contrary to many people’s opinion, having naturally curly hair doesn’t mean you don’t have to brush it. On the contrary, if you skip this operation more than a couple of times per week your hair will easily get tangled and you won’t be able to untangle it without using massive amounts of hair conditioner and moisturizing products. Thus, you should avoid bristle brushes if you don’t want your hair to get too fluffy. Instead, you can use a vent brush that will smooth it while brushing and still leaving your curls perfectly defined. These brushes work even better if you turn your head upside down and try to define the curls even more by simply adding some curly hair styling products. 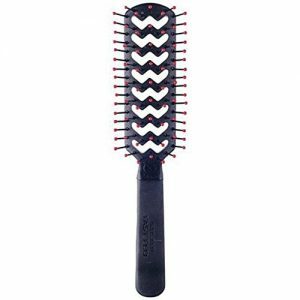 What we also like about vent brushes is that you can use them to tidy up your curly hair after you blow-dry it and a couple of days after. This will help maintain the natural volume and avoid tangling.